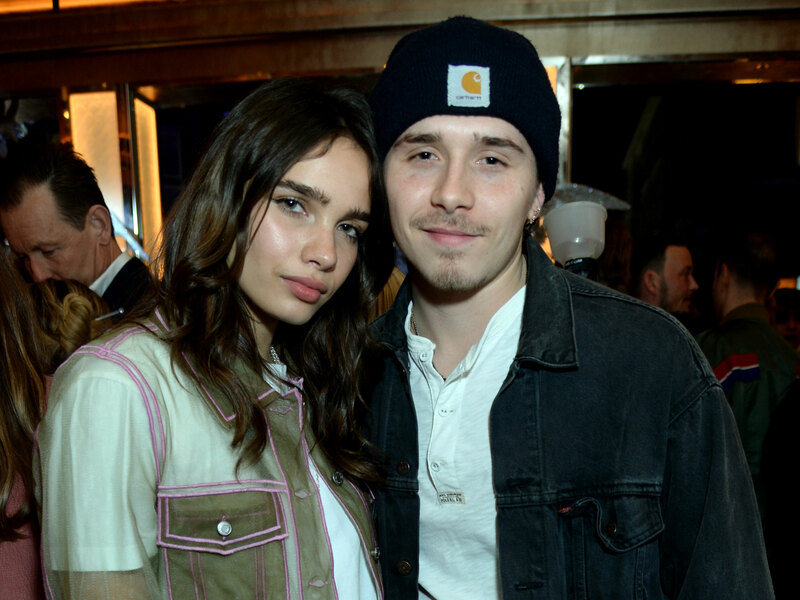 Brooklyn Beckham and his girlfriend Hana Cross still look like love’s young dream, as they can’t get enough of each other since they started dating. 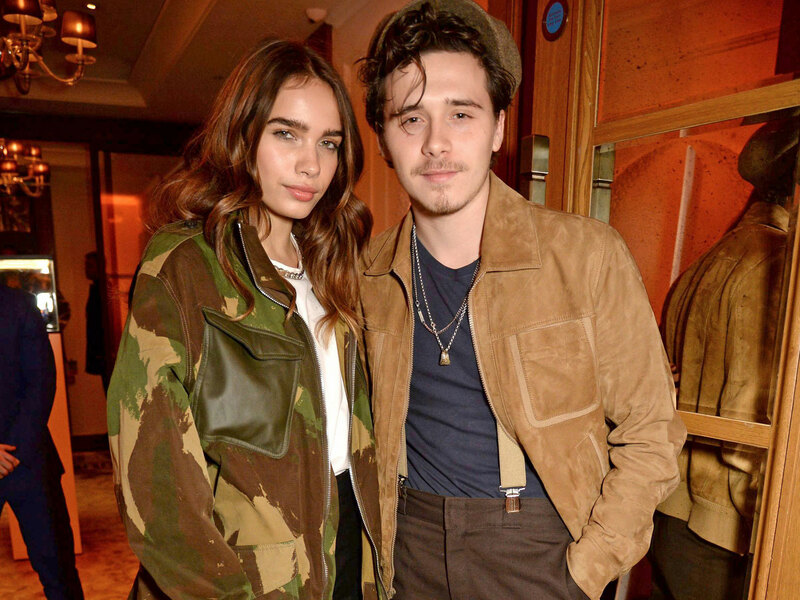 Their relationship appears to be going so strong in fact; the British model even joined the Beckham clan during their current trip to Los Angeles. Sharing a snippet of the family holiday, Hana took to Instagram to reveal that she and Brooklyn have even started to dress the same! Posing in adorable matching outfits, the stunning 22-year-old snapped a selfie as she sat beside 20-year-old Brooklyn in the car. The young lovebirds can be seen twinning in plain white T-shirts, with Hana giving the camera a cheeky wink with Brooklyn looking slightly less enthused by the photo shoot. 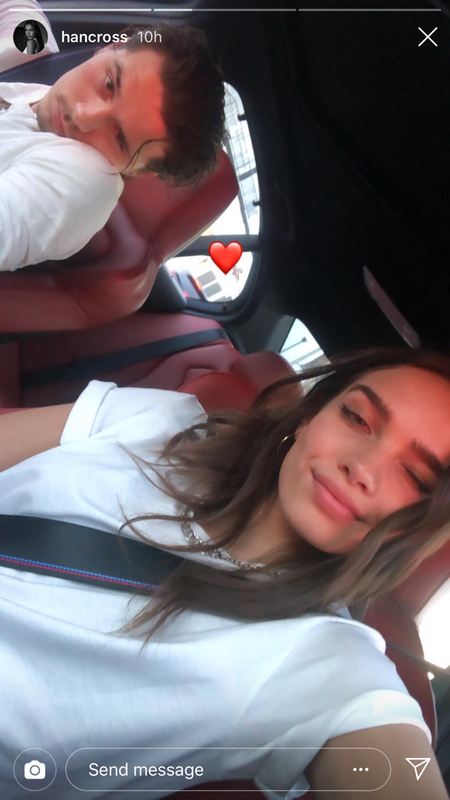 Captioning the snapshot with a simple red love heart emoji, the brunette beauty showed off her love for her bae to her 227,000 Instagram followers. Hana also uploaded a sneak peak into what she’s getting up to with Brooklyn and his famous fam. 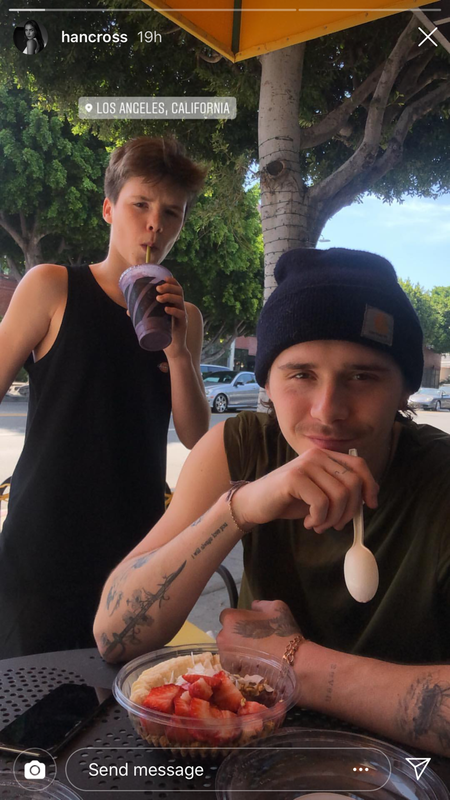 Sharing a photo of her beau baring his inked arms and enjoying an al fresco bowl of strawberries and granola alongside younger brother, 14-year-old Cruz, who can be seen slurping a smoothie, Hana appears to have become a firm staple in the Beckham household. The couple have been dating since early this year after he split with ex-girlfriend, actress Chloe Grace Moretz, 22, in 2018. Hana and Brooklyn regularly share swooning tributes to each other on social media, with Brooklyn sharing a super sweet selfie of the two beside the Eifel Tower on Valentines day. Captioning the post he wrote: ‘Me and my girl. Luckiest man in the world. Love you baby 😘.’ Adorbs! Brooklyn hit headlines this week as it emerged he landed a job during the filming of Sir David Attenborough’s new Netflix show Our Planet. The wannabe photographer was flown out the Masai Mara game reserve in Kenya to assist on the nature doc, and apparently couldn’t believe his luck.